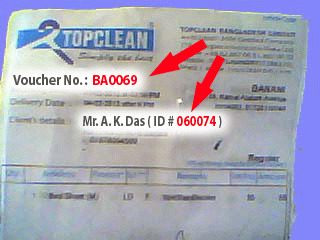 NAME OF THE COMPANY : TOPCLEAN BANGLADESH LTD.
PLANT LOCATION : 27(East), Tejgaon Industrial Area, Dhaka-1208. FAX : (+880-2) 988 30 25. INSURANCE COVERAGE : Insured with United Insurance Company Ltd.